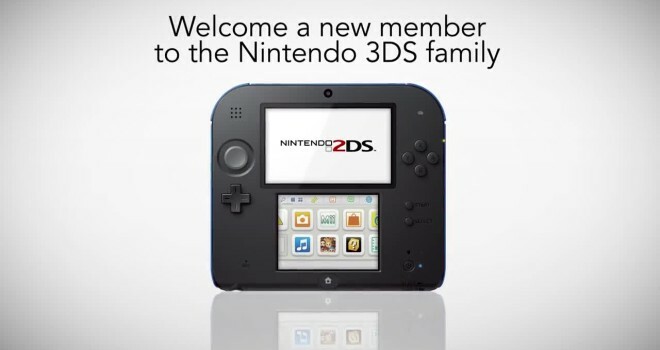 The Nintendo 2DS was just recently announced today with a $129.99 price-tag and is set to release on October 12th. Meant for younger demographics, the 2DS features a slate design and does away with the shell for durability. The 3D functions are also removed, so that way parents don’t have to worry about their younger children damaging their eyes (although the 3DS offers parental controls that allow you to disable the 3D, but I guess Nintendo doesn’t have faith in consumers to realize and utilize). I’m sure many of you gamers out there have been wanting to see a side-by-side comparison of the Nintendo 2DS alongside the other 3DS models. So here’s a spec chart and a size comparison to check out to see what the 2DS is all about. It’s also 70 dollars more expensive. 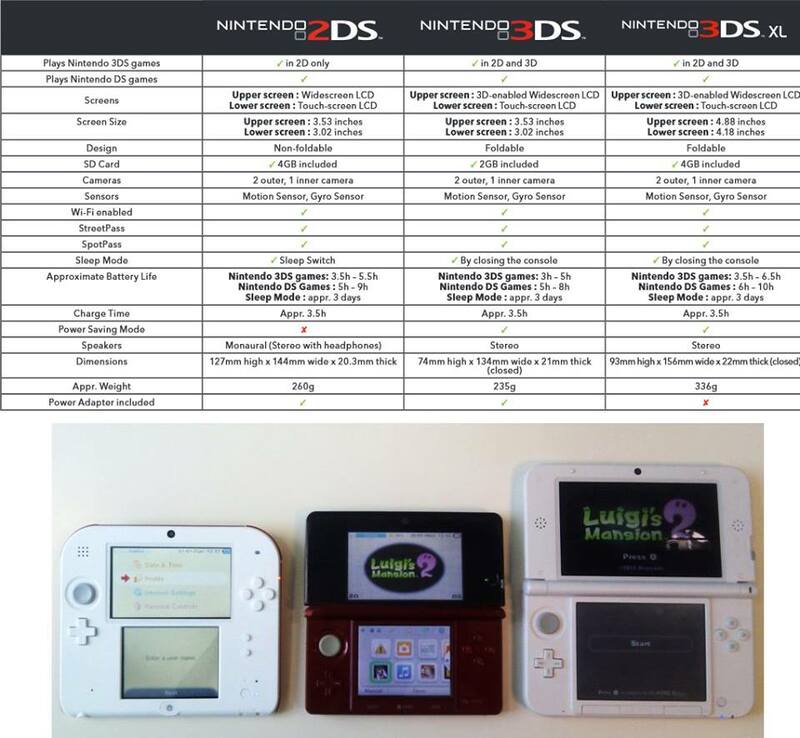 The 2DS lower screen looks smaller than the normal 3DS lower screen, but they are apparently the same. That;s pretty weird. I’ve got to say. I really don’t know why they went with the look they went with. It looks strange, I guess it works though. What the hell do I know about Nintendo products anyways. The only thing i dislike is how much space it has under the D-pad. Why not add more speakers to it since the 3DS XL has a issue with the sound being low. Still looks good and hope it sells well like its brothers! In my opinion I actually like this idea. For a while I wanted to get a 3DS but I never had enough money for it. A 3DS(without 3D) that is $70 cheaper then the 3DS XL? Sign me up!